After exploring the charm of Charleston, retreat to our all-suite accommodations at Hyatt House Charleston Historic District. 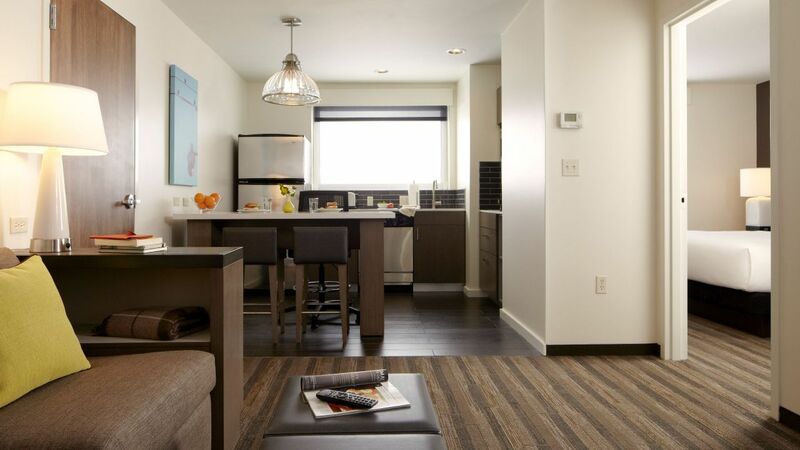 Our modern guestrooms have the modern amenities you expect with the comforts of home. 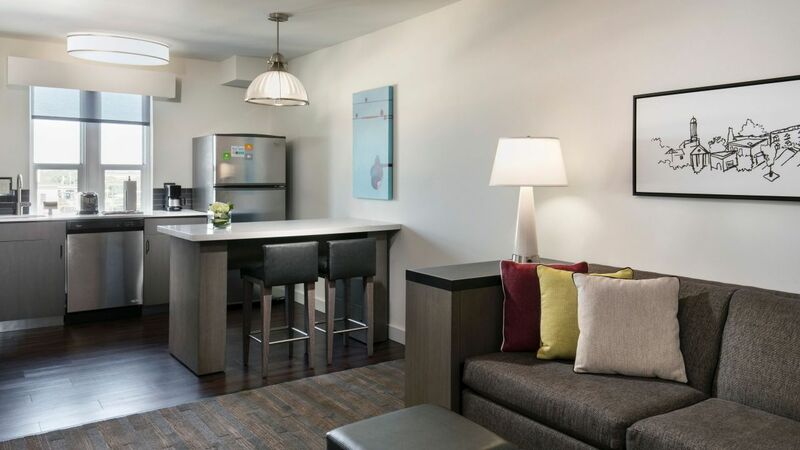 Whip of your favorite dish in your room with our equipped kitchens, catch up on work or relax in our separate living area. Don't forget about the free breakfast, featuring our omelet bar with cage-free eggs. This furnished two-bedroom suite boasts 911 square feet of space, with a living area, sofa bed, one bedroom with a king bed, and one with two queen beds. 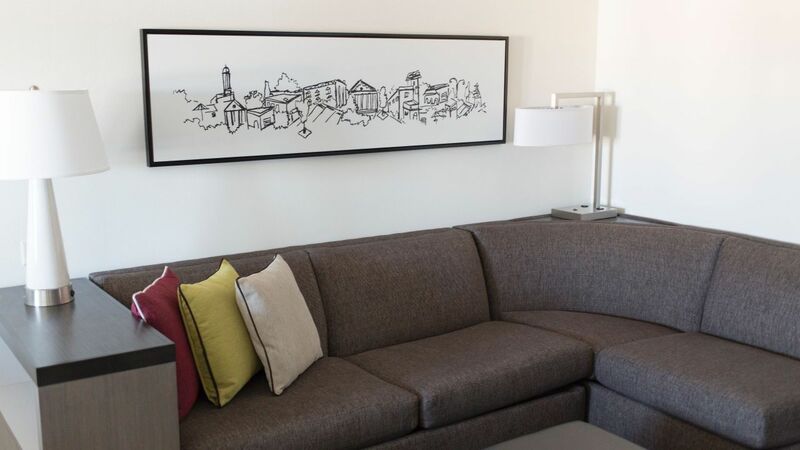 Stretch out in this one-bedroom suite, featuring a full kitchen, glass walk-in shower, and separate living area with a sofa bed amid 540 square feet. 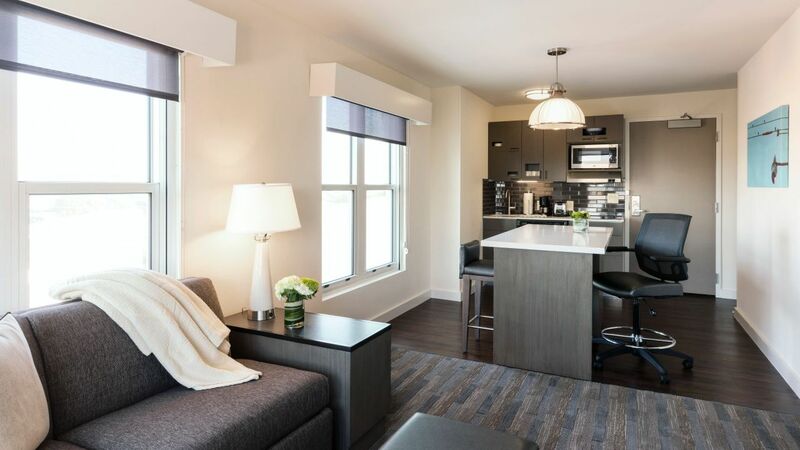 This fully accessible two-bedroom suite offers a living area with sofa bed, one bedroom with a king bed, and one with two queen beds among 911 square feet. Unwind in this king-bedded room, which includes an additional sofa bed and fully equipped kitchen with center island amid 490—535 square feet of space. 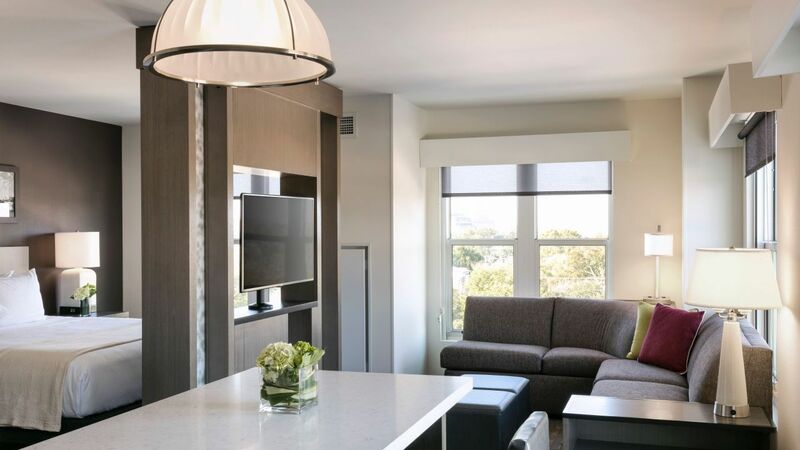 This studio-style room offers views from a high floor, a king bed, sofa bed, and fully furnished kitchen with center island, all within 490—535 square feet. All the comforts of home. This room features one king-size Hyatt Grand Bed with luxurious linens in the sleeping area and a Cozy Corner living area with a workspace and extra space to lounge. Free Wi-Fi and hot breakfast included. 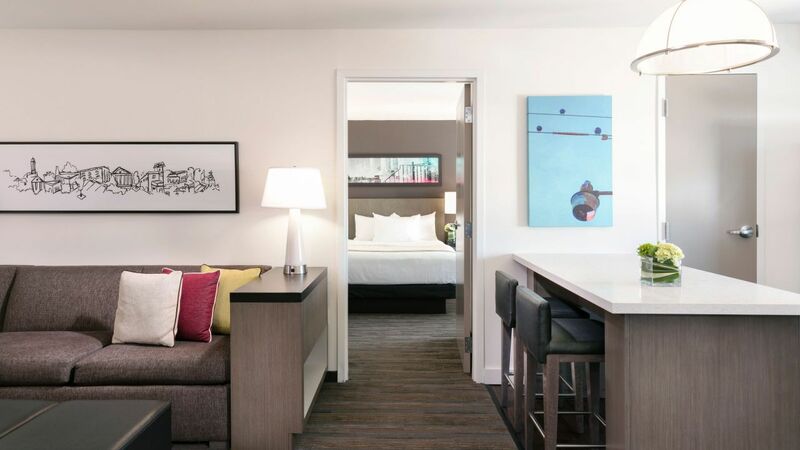 This 565-square-foot guestroom offers one king bed, additional sofa bed, furnished kitchen with center island, and fully accessible features. 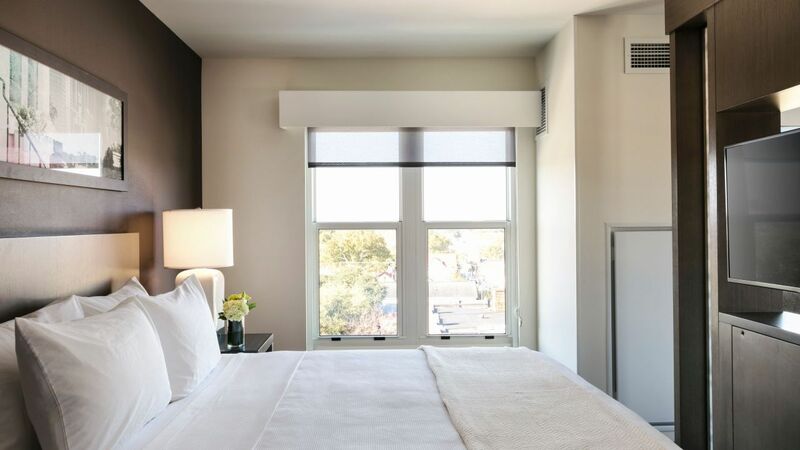 This ADA-compliant guestroom offers a king bed, additional sofa bed, deep-soaking tub, and fully furnished kitchen, all set within 565 square feet of space.